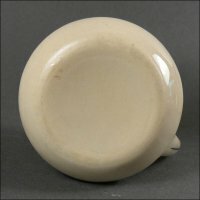 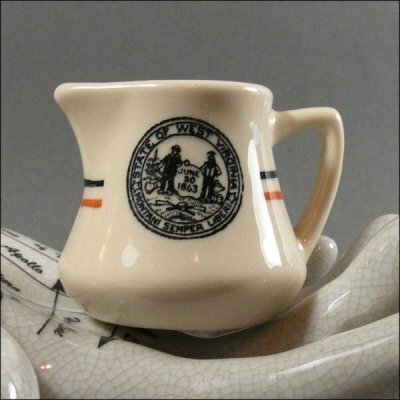 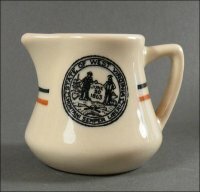 This tiny creamer with handle features the WV seal and as you can see from the photo, it is unmarked but would have been made by either Carr or McNicol. 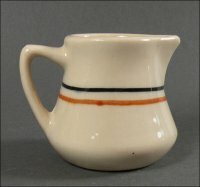 It's the smallest one I've ever seen, measuring just 2 5/8" across, including the handle, and only about 2" high. 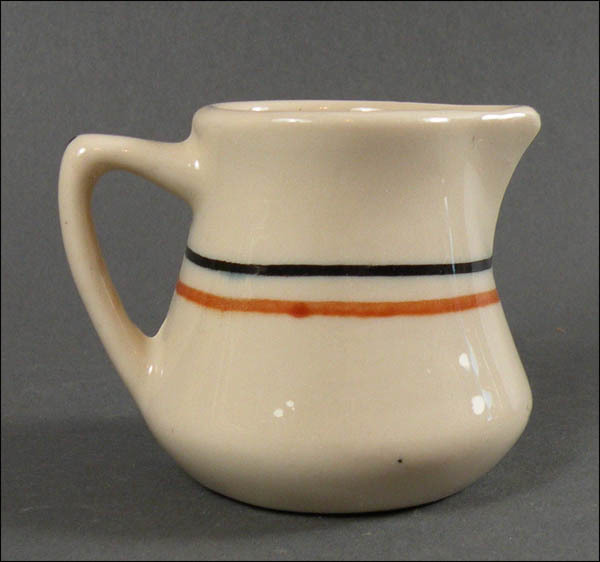 It is in excellent condition, very shiny and has only light use marks. As you can see in the photos, it has a small cluster of extra glaze dots that don't detract from its appearance. 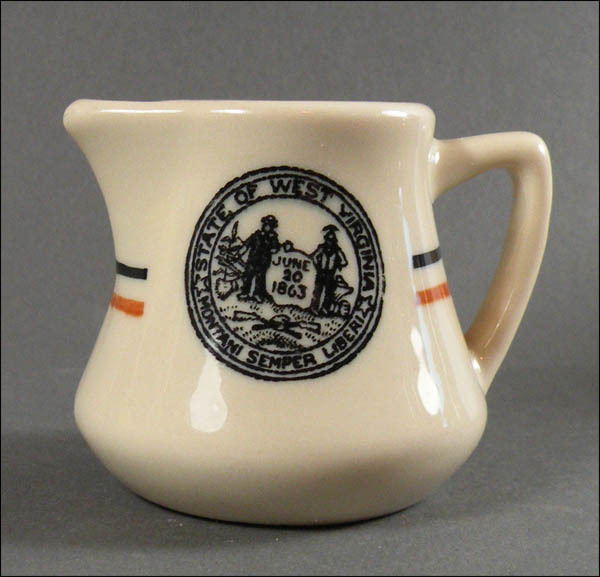 I'm including the cost of USPS First Class shipping with this piece because it is so diminuitive!